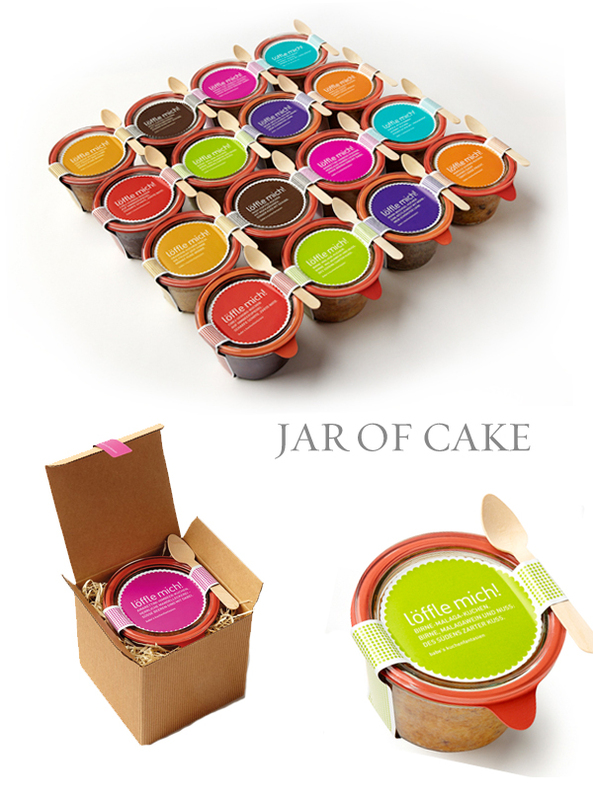 Bright, bold and well packaged, wouldn't this Löffle Mich jar of cake be a perfect gift for someone, or a delicious surprise at a picnic? I love the fun nature of it, well I love anything mini in a jar for that matter. If you are near Austria from what I can tell from my loose rusty German 'Löffle Mich' means something along the lines of 'Spoon me', right? You can find them here. Ah!! LOVE it! Great gift idea to add to a Bridesmaid basket I think! weck jar is the BEST!!! These are so cute!! !Love it!A sweet gift! Love this packaging. However I`d probably want to eat 3 or 4 of these hahaha! I too thought they were single serving coffee at first glance too.